To many of us, it's become apparent that mirrorless is the future for cameras. The huge advancements in short period of time have made them very popular. Companies like Fuji, Sony, and Panasonic have developed some fantastic cameras, and their respective ecosystems are growing fast with new lenses and accessories. 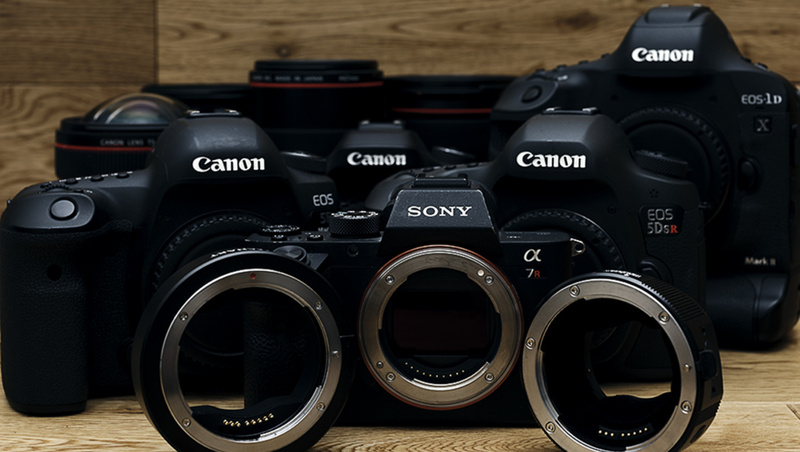 Currently, Canon and Nikon have remained behind when it comes to effective and professional mirrorless systems and many disappointed professionals have already jumped ship to other manufacturers. As it becomes clear that Canon is developing their own model, here's what I think it needs to compete with those alread out there. I really can't stress how important it is for Canon to keep the EF mount for its pro-level mirrorless system. The EF-M mount can be used for mid-range and entry-level mirrorless cameras, but the EF mount must remain for their pro system. Canon's main advantage is the fact that they have such a vast number of incredible lenses. They may, in fact, have the best lens lineup on the market. If they develop another mount for their pro-level mirrorless system, that will spark the beginning of the end for the EF mount. Getting rid of this major advantage is extremely ill-advised and one of the worst decisions they could ever make. Canon is already a few years behind companies like Sony and Fuji when it comes to sensor technology and camera features. An incredible amount of money will be required to develop all the new lenses, only for them to end up in second or maybe even third place. Moving away from the EF mount will also potentially make all of their current customers free agents, and I'm sure Sony would love to tap into that market. 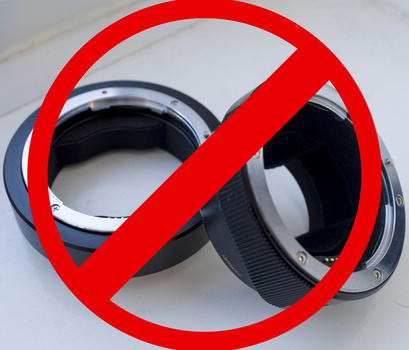 Sony should be praying that Canon does not continue with the EF mount. Nikon, on the other hand, has needed to update their mount for some time now, and this is why they've had to go for what is currently being described as the "Z-Mount." Canon needs to capitalize on its strengths. The EF mount is a major strength and will put them far ahead of the competition. With this one point, they could secure their position for decades to come. For the love of god, no. Adapters are not convenient. They are horrible, ineffective, bad solutions for a problem that doesn't need to exist. Stick with the EF mount! The way to do this is to create somewhat of a hybrid camera. Keeping a similar body design with the same flange distance will save a ton of money. Get rid of the prism and the mirror and simply add in an EVF. Whatever potential space is left can be used for something more useful like better cooling, maybe more internal storage, more powerful processors, or maybe even features currently in development that we may not know about. You may be asking the questions: "What about adapting other lenses? Won't a shorter flange distance be better"? The most popular adapters currently available are for EF lenses, and if Canon sticks with the EF mount, then there's very little need to adapt. Many professionals that have switched over to Sony only do so for the body and continue using Canon lenses; therefore, keep the EF mount. Weight is important, but as discussed above, get rid of the prism and the mirror; this will automatically reduce the weight of the camera by a very noticeable amount. Also, maybe lighter-weight materials could be an option, although that may require more investment than it's worth. Size, on the other hand, really isn't that important. In fact, having a smaller camera is a disadvantage for a number of reasons. Many tech companies seem to think that having a smaller device is somehow a great achievement when it's actually a compromise and potentially a flaw. Ergonomics are far more important than having a smaller camera, and smaller cameras are generally terrible for ergonomics. Some may suggest using a battery grip, but then, what was the point of making it smaller in the first place? Also, lenses can't exactly get much smaller, and only the flange distance is going to be different. The trend seems to be pointing towards tiny bodies and huge lenses; eventually, maybe your 50mm will need a tripod collar. Battery life is another major disadvantage for smaller cameras. The fact remains that mainstream battery technology has not progressed very much and bigger batteries will have better battery life. Mirrorless cameras also require more energy, which only compounds the problem. 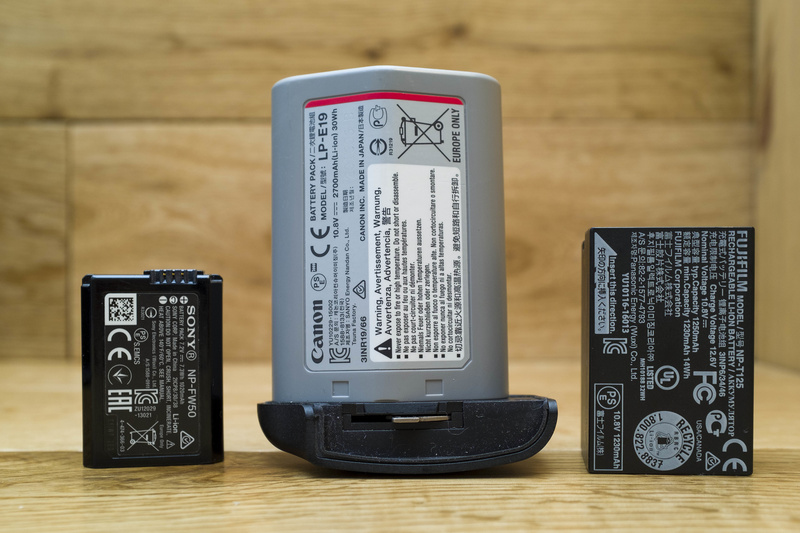 Even batteries from bigger mirrorless cameras such as the Fuji GFX 50S can't compare to batteries from a 1D series camera. It's extremely difficult or not at all possible to keep the same battery performance with a smaller body. Bigger is without a doubt better. Canon should save themselves some money by keeping to a similar body design and sticking with the EF mount. Yes, DSLRs are meant for video too, and Canon needs to start taking it more seriously. They are the company that made it popular; it's only fitting they continue to develop this. There are some features that I strongly recommend Canon consider; however, I doubt these are features we will see in a Canon camera anytime soon. "This is now an era when latecomer manufacturers stand to gain." This specific quote from Canon's CEO sums things up pretty well. The stars couldn't have aligned themselves any better. A few key decisions that Canon makes in the next year or so could have a huge impact on the company. I doubt that Canon will be releasing anything earth-shattering, as they are very reserved in many cases, but whether or not they continue with the EF mount may determine their future. 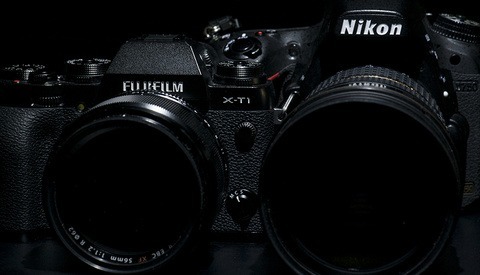 Nikon may have a tough road ahead of them when it comes to developing their mirrorless system. This, however, is something they will need to do in order to compete. It may take them up to a decade before they have a fully developed ecosystem, and the amount of investment required puts them at a great disadvantage. Nikon may have to settle for third place. Sony, on the other hand, is growing their mirrorless division very well, and the market sentiment seems to be in their favor. Effectively, this has become a race for two companies, and Canon potentially has the upper hand. Not only does Canon have a significantly larger range of lenses available, they are also cheaper and have better third-party options. The overall sentiment seems to be against Canon; however, the practicalities of their system outweigh the sentiment. Many professionals will simply continue with them. They already hold the number one spot in various key areas, and if they stick with the EF mount, it's going to be very difficult for other companies to compete. "Full frame sensors require full frame glass"
Every lens I quoted is full frame. While 24-70 and 70-200 might be more broadly used, surely sony has seen that the advantage of mirrorless designs are in the wide side. Anyway, the 16-35 GM is smaller and lighter than the 16-35L 2.8 III as well. >> surely sony has seen that the advantage of mirrorless designs are in the wide side. That's where the most obvious advantages are, yes. But if you want a fast, cheap, bright standard lens with excellent tonality and defocus, the Sonnar is still the best design - and that won't work with a mirror box. Or if you want a lightweight 40MP class lens and are ok with aperture topping out at f2.8, then the design Sigma use on the DP2 will do the job - but won't work on a camera with a mirror box. 1. Offer an EF-I mount ("I" for "Internal", or whatever; "M" already taken obviously) which allows lens elements to extend beyond the flange where needed. Obviously the back-of-lens cap is going to be different if the glass sticks out/in an extra inch, but that allows the elements to take up the space previously allocated to the mirror box. Still more difficult for true wide-angles, but would improve some lens formulations I believe. 2. Mechanically move the sensor (or, less likely, the flange itself) between the "EF"/"EF-S" lens flange distance (mirror box area left vacant) to a much-closer-to-the-lens "mirrorless" flange distance, at least on the "pro" model cameras. Lower end / consumer-grade cameras might stick to being fixed at the "mirrorless" flange distance and having a more slender profile in return. I'm not an optical engineer, and maybe the sensor design between a DSLR-flange and mirrorless-flange distances necessarily needs to be different for some reason, but it seems like Canon has options to make this work without completely giving up the full history of EF/EF-S lenses and thus preserving existing consumer buy-in to their system. Neither is cheap nor without potential manufacturing/reliability issues, though. In the end, though, I strongly suspect that Canon would weigh either of these two options against "include the EF adapter in the box" or perhaps "make cheap $20/per adapters so legacy EF mount lenses can be converted to our new mount" (and throw those adapters into the lens boxes of all new EF lenses they ship out prior to coming up with new mount versions of them) and choose one of the adapter-based options. The lightweight mirrorless trend went out the window a while ago, even Micro 4/3 cameras are getting up there in size. It's all about the other benefits of mirrorless - electronic viewfinder with live exposure preview and fast and accurate AF done off of the sensor itself (Canon is already ahead here with Dual Pixel CMOS AF), to name just two. As someone that has a large investment already in EF glass, as well as a few other different mirrorless systems and Nikon as well, I'd certainly not be in the mood to add another set of lenses. If Canon (and Nikon) are jumping into the water this late in the game, it's foolish to make people buy into yet another system when I already did because they didn't have mirrorless in the first place. I think you're all missing the point. The behemoth that is Canon will absolutely abandon the ef mount (just as they walked away from FD). They'll give us a very adequate adapter (limited to newer lenses) for the transition. Why? Because they're a giant monster & the giant monster is always hungry. New mount means a full new kit of lenses (5-30k USD) for each & every one of us... Ouch! If Canon is SMART: they'll be working on a global shutter & a way to build a competitor to the GFX\X1D that will be profitable. First to market with a global shutter that WORKS wins everyone who uses strobe the world over. Make that global shutter work in video (no jello) & you'll give red+arri a rash. What Canon should be doing is making it clear to those of us who haven't jumped ship what the plan is... I've been looking at the landscape & there's no Canon body I'd buy over the equivalent Sony. Not. One. My 5D3 is getting long in the tooth & If I have to drop 12k to replace my primes + 70-200 why not go with the team that's showing me innovation & Zeiss? I don't think it's in Canons best interest to do that, they won't make more money from changing the mount and actually open themselves up to unnecessary risk. From a game theory standpoint even if it were just Canon and Nikon battling it out if both changed their mounts neither would stand to gain anything. It would be a level playing field and Nikon and Canon shooters would remain with their respective systems, for the most part anyway. Currently, with Sony changing their mount and Nikon looking to potentially do the same, Canon have everything to gain by "cheating" and not changing their mount. They just can't, because you can't obviously put anything between the lens and the sensor if you want to keep the current mount. So, in order to have in body Stab, and all the things you put in your wishlist, the size requirement would be medium format like. A canon EF mirorless system would be full of wasted space, that's the huge paradox. So you really have two choices : new lenses and decent adaptor in a "maybe not that small" body(win-win), or a traditional hassleblad without the larger sensor. Sony and Panasonic cameras have a lot of those features and they manage to keep their bodies much smaller. It is possible it's just a matter of being efficient. I'm not suggesting they put anything between the lens and the sensor but areas like where the prism is or where the main autofocus module is are areas that can be used. Also the sensor stabilization is on the actual sensor like how the GH5 and A7RII cameras do it. The camera doesn't need to be any bigger at all. Thank you for writing this reply, so that I didn't have to. Creating a mirrorless camera with a native OVF SLR mount would be quite possibly the dumbest move in either camera brand's history. Back up your point, please. If you don't already understand why, then my explanation will likely fall on unwilling ears. Your dislike of adapters is likely based on an entirely false premise, that of third-party adapters made for cross-platform compatibility. Compared to, say, a name-brand adapter for same-brand platforms, we arrive at what is most like a Mac vs PC debate- that is, completely apples to oranges. Canons own current mount is not an effective solution. Adapters are not a pro solution. Native lenses are still significantly better. The way that DSLRs focus vs mirrorless cameras is very different. >> Adapters are not a pro solution. Otoh, Mathew's point was clear and concrete: making an adapter for their own lenses is very different for Canon than for a third party - they have the precise technical details for each lens and its interaction with the focus system that independents lack. 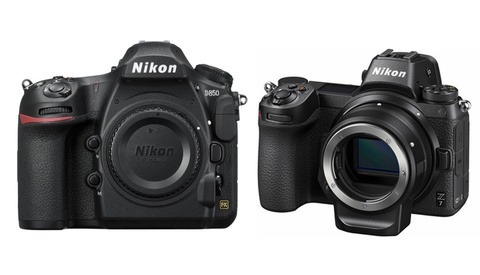 >> The way that DSLRs focus vs mirrorless cameras is very different. This is vague BS. A camera like an XT2 with phase detect focusses more like a 5Diii - which also has phase detect - than a GH5 which uses CFD only. That means that even though the XT2 and GH5 both focus on the sensor they show very different focus characteristics. (Which is why Panasonic, who are video-oriented, stay with CFD.) Then there are the modern Canon DSLR's with dual-pixel AF on the sensor. I really don't think you understand this subject. This article is correct. Physics dictates that, for a given FL/aperture, lenses will be a certain size; there is no way around this *as long as you're actually talking about equivalent FL/aperture*. The flange distance won't change weight or size of the overall system, and a closer mount-sensor distance creates optical design problems. So for the sake of a few mm thickness on the body (who cares?) you're abandoning the best lineup of lenses in the industry for no reason. That would be madness. I also agree some cameras are too small for good ergonomics. What that extra thickness *can* do, without a mirror box, etc. in the way, is have *very cool stuff* in between which no other manufacturer of mirrorless left room for. E.g. built-in ND, bigger IBIS (like Fuji have found with the X-H1 the more stabilisation you want, the bigger the room for IBIS to move around in, the better), and just better heat dissipation. Why does Nikon need to update their mount? You stated it as if it was common knowledge, yet this is the first I've heard of it. Their current mount is much smaller than many other full-frame mounts and due to this they have certain limitations when it comes to developing certain types of lenses. Canon changed their mount some time ago yet Nikon Continued with their "old" mount. That is indeed true, but the lens line up is more than decent, maybe they can't make a 85/1.2, not really a big deal. Anyway when it comes to updating your mount system, you are always too late, there is no way around it. I agree, I think if Nikon can find a way to avoid the change in their mount they too have allot to gain especially when they're making cameras like the D850. I do think that they are due for a change, although if it works and they're not having issues developing lenses then I guess there's no reason for them to change. Your last point is very true :). The size of Nikon's F mount is not really holding back their OVF SLR system; the select few elitists who "need" 85mm f/1.2 are just unhealthily obsessed with DOF and "creamy bokeh". As the Nikon 58 1.4 and 85 1.4 G have proven, there is plenty of "creamy" to be had. The real difficulty Nikon has faced over the years with the F-mount is the complete lack of modernness to the various connections that it has, or used to have. The AF used to be mechanical screw-driven, and the flagship bodies still maintain this compatibility. Many pros would throw a fit if they stopped, too. The aperture on 99% of their lenses is mechanically stopped down, too, and only a few of the newest lenses have the "E" electronic aperture. It's not that big of a deal for most people, but when it acts up, it's freaking annoying. It can be a complete show-stopper if you want to shoot a timelapse at f/16. Nikon *could* make a mirrorless F-mount that is entirely electronic, though, and yet still maintain backward compatibility with old lenses all the way back to AI-S and Series E, or even further back, a la Df. Having said all that, yes, Nikon does "need" to update their mount, period, much more than Canon does. A larger mount with a shorter flange distance would benefit them greatly. Having said THAT, Canon still needs their mirrorless system to have a shorter flange distance, too. Like it or not, but that's one of the biggest advantages of mirrorless, even if the cameras are getting bigger and heavier, and even many of the faster, longer lenses are just as big and heavy as their OVF competition. The bottom line is that there are still portability advantages to be had, and other potential new technology benefits. I agree on all of these. If they can make an EF-Mount mirrorless camera, the BIGGEST thing they can do to capture users away from Sony and Panasonic is to use that extra space between an EF mount and mirrorless sensor to add in an ND Filter, preferably variable like the Sony FS5. I do mostly video work and have used the A7 and GH line for the past few years, but really love Canon's color and image way more, along with its excellent autofocus. Have the features of an A7sII or GH5 + ND filter and I'm all in on Canon again. That would be awesome if they did but come on we both know Canons not going to be doing anything like that anytime soon lol. That and Canon's history, you just need to see the 5DIV : "we couldn't make this and this and that because it's too difficult". Video capabilities ? They just want to sell their precious C line with global shutter. With Canon, every camera since the 5DIII is a disapointment, the sad truth is probably that the photography market hasn't been a priority since they are the eternal number 1, maybe they are just right now seeing the iceberg. I disagree with you about size. I’m a pro photographer that is on the road a lot and having a smaller system and a smaller lighter camera bag (the camera bag itself for my Sony gear is now 1kg lighter than my previous Canon gear bag) is a big deal when flying. Airlines never even weigh my new gear bag it’s so small on my back. It used to be quite a bit of trouble in some airports. Size is a big deal for some photographers. The difference is 273g which does matter but if you have one body and a bunch of pro glass then that difference doesn't increase per lens because pro lenses are still heavy. You can't really make pro glass lighter, or very much lighter. Also if Canon removes the prism and the mirror the weight difference would be eradicated. Lighter is better, I agree with that but smaller isn't an advantage it's a compromise. Size can be a benefit in some pro enviroments like weddings, street photography, landscape and travel. Because the A7RIII can "grow" if you need it. Put a grip on it. Can you shrink the Canon 5d? You can easily use the A7RIII for your work and travel. You don't need that brick which is close to a kilogram. I've discussed weight already, but a smaller camera is a compromise. I'm not saying it's a bad thing or a good thing but you can't say it's not a compromise. The point is not bigger better or smaller better. My point is flexibility is better. Maybe the canon fits fine in your hands but not everybody has the same hands. The question of weight can vary in importance from person to person. Ten years ago, when I wasn't suffering from severe arthrosis in my shoulders, neck and hands, weight wasn't an issue. Big and heavy was beautiful. I dragged 6 lenses and a camera body and didn't care. Nowadays, hauling a heavy camera bag equals pain and lifting a heavy camera body equals pain for several days. So in my case, weight is really a big issue. Since I am not a pro, I don't need to buy the biggest and most expensive lenses. 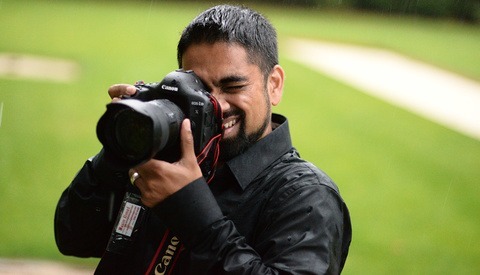 Although I sometimes wonder how important the ultimate sharpness will be for paying clients. I don't know, I'm an amateur, but I wonder.